Whether you are a fan of Hawaii or just love the tropics, planning a luau for your birthday themed event is a great way to bring a little haupia and beer to the party. To keep in line with your theme, here are some great luau party invitation wording ideas that are perfect for your event. Come join us at the beach for the day say “aloha” and wear a lei! Come toast to love and laughter, and happily ever after! Grass skirts, Loud Shirts, Torch lights and Tropical delights. These things and more, it’s true a Luau is in store for you! If you’re tired of the snow and cold weather escape south of the border for a little get together! Join us for a Beach Party! Trade in your heavy coat and your other winter clothes for sunshine, palm trees and sand between your toes! Let’s Mai Tai! Come lounge with us in our tropical paradise as we celebrate summer fruit buffet, grilled treats and funky cocktails. Palm trees and sandy beaches might be far away. So were bringing the tropics to us to celebrate this special day. The coladas are frozen the theme is set. We’re having a Luau you’ll never forget. Please dress-up Hawaiian as you’ve done in the past for a night that will be A tropical blast! Tiki Party! Join the Barelis for a night of cocktails and conversation as we celebrate. We picked the date. We’ll board the jet. For a week in paradise you’ll never forget. Under the tropical moon, near the sea and the spray we’ll pledge our love that is here to stay. Join us in tropical paradise as we exchange our vows. We’re having a Luau that is sure to be fun. Come celebrate and get toasted in the sun! 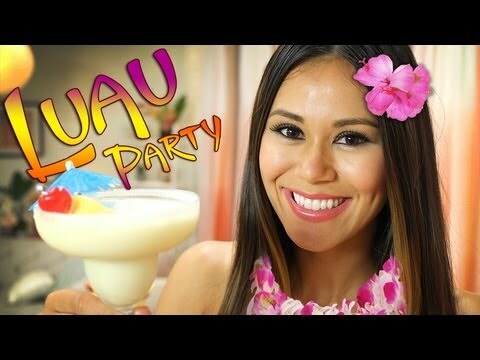 Here is a look at some good tips for follow for throwing your own tropical luau party.